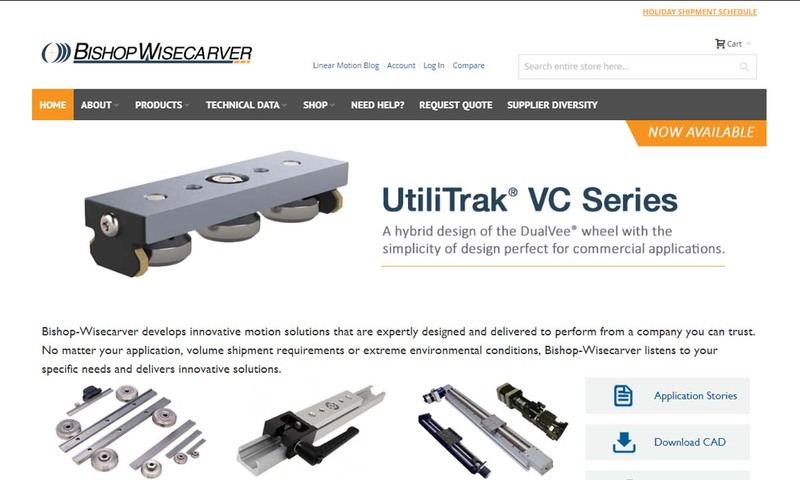 A reliable source for Linear Actuator Manufacturers information and a resource for accessing leading Linear Actuator Manufacturers and suppliers. Linear actuators are designed to generate mechanical linear motion by converting other forms of energy into mechanical energy. Almost all automation processes in factories or other industrial settings use linear actuators so that they can push, rotate, transport or lift parts and equipment during manufacturing. Linear actuators can even be made to operate in unusual conditions like underwater environments or in the presence of a vacuum. In addition, linear actuators are often called on to act as a mechanism that can transmit a very precise amount of energy to another mechanism or piece of equipment in a system. Linear Actuators Linear actuators are designed to generate mechanical linear motion by converting other forms of energy into mechanical energy. Though we don’t know the exact date of the invention of the linear actuator, we do know that tools resembling modern linear actuators first started cropping up during the Industrial Revolution. By the 1800s, both American and British machinists and manufacturers were using linear actuator-dependent tools. Through the century, they were also inventing, refining and standardizing many basic linear actuator types and their close relatives. Fast forward 100 years or so, and we can talk about the invention of the first electric actuator. In 1979, Bent Johnson invented it in order to improve the performance of a friend’s wheelchair. His invention caught on, and within a few years, it changed the face of automation. It spread to many different industries, most notably, agriculture. Now, around 40 years later, we’re living in a world of highly refined actuators that range in size, all the way down to micro linear actuators, and complexity. 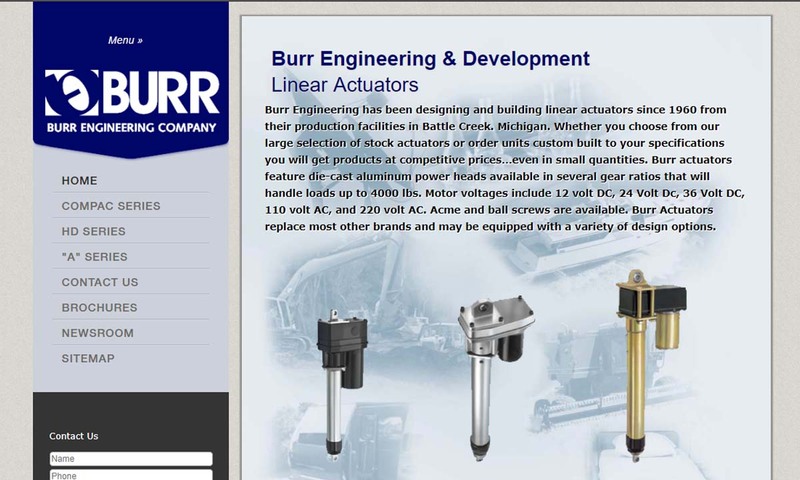 Linear actuator manufacturers create many standard actuator models that reflect the application requirements of some of the most widespread linear actuator uses. 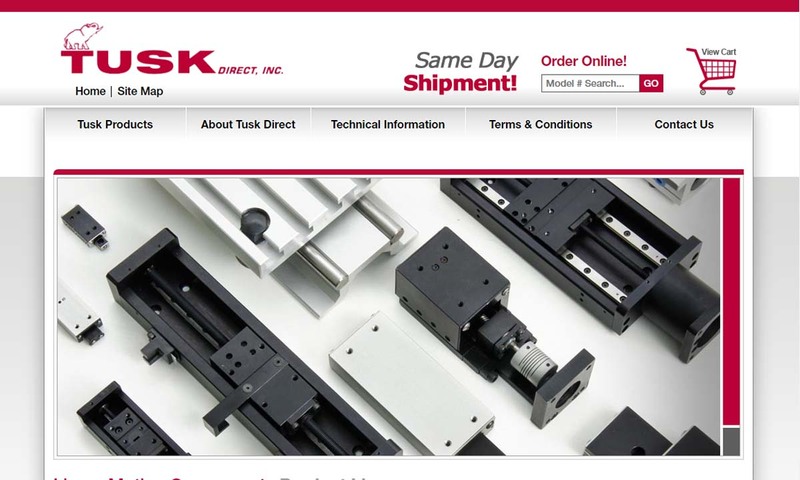 They also custom linear actuators. If a standard actuator cannot efficiently meet your needs, consider a custom request. When manufacturers custom design a linear actuator, they take into account a number of factors. Based on application specifications like: environment, load weight, frequency of use and standard requirements, they choose actuator design specifics. These include: actuator type, actuator material, input voltage, IP rate, load capacity in lbs., load speed and actuator size. The material is almost always stainless steel or another strong material, like anodized extruded aluminum. Linear actuators are almost always computer-controlled, although some can be guided by hand. A linear actuator can be powered by either hydraulic, pneumatic, mechanical, electromechanical and piezoelectric force. Linear motion is achieved in most actuators through a ball screw design. A screw rod rotates in and out of a housing, causing linear motion. A timing belt drive, worm gear or direct drive is used to rotate a ball screw actuator. As the screw turns, it pushes a drive nut along the length of the screw, and this causes the rod to be pushed out. When this motion is reversed, the rod retracts. A cover over the screw keeps out dirt and other contaminants that could hinder movement. Even when it is loaded, special radial thrust bearings allow the screw to move freely. For specialized applications, it is typical to use piezoelectric and telescopic actuators. Electric linear actuators are designed primarily to provide automated controlled straight-line movement to functions like: locking doors, braking machine motions and opening and closing dampers. These actuators driven either by thermal expansion, mechanical transmission or electromagnetism. They include mechanical parts including: linear guides, motors and a drive mechanism to convert electrical energy into displacement. Although rotary actuators are not linear, they can be used for very similar purposes in automated assembly applications. Electric rotary actuators, as their name suggests, are powered by electricity. They are made up of electric motors, an output shaft, which allows for rotary motion, and a limit switch, which limits motion. Most often, they’re used in the automation of quarter-turn valves, robotics, windows and gates that require controlled rotational movement. Those electric rotary actuators used with valves are called valve actuators. Pneumatic actuators use gas to exert pressure on a piston. Typically, users harness this ability to leverage air compressors. Pneumatic actuators are inexpensive and easy to use, but they’re also loud and often inefficient. So, if you’re considering a pneumatic actuator, you really have to weigh the pros and cons. Piezoelectric actuators are very small and precise. In a piezoelectric setup, spindle actuators provide vertical motion. They’re used with applications that require highly precise positioning over short ranges of motion, as well as in the manipulation of fluid films. Sometimes, they’re called ultrasonic actuators. Electro-mechanical actuators use the same basic mechanism as other mechanical actuators, but they differ in that they use an electric servo motor, instead of a handle or knob, to generate rotary motion. There are many different ways to design this actuator type, including compact design. These actuators are mechanical and use piston and cylinder mechanisms to produce linear displacement. For motion power, they rely on differential air pressure, gas or hydraulic fluid. Most often, fluid power linear actuators are used in welding, clamping and to open and close damper doors. Fluid power rotary actuators are similar to the fluid power linear actuators, but instead of using linear motion, they use rotational motion. To achieve this motion, they use piston and cylinder mechanisms, a gearing system, an output shaft and differential air pressure, gas or hydraulic fluid. Like the actuator above, they are frequently used in welding, clamping and to open and close damper doors. Manual actuators use rotating screws, hand operated knobs or wheels in conjunction with guided linear motion mechanisms and gearboxes. The motion mechanisms can either be comprised of racks, pinions and lead screws or, or they can be belt driven. Manual actuators are great for precise positioning during tool and/or workpiece manipulation applications. Telescoping linear actuators are a specialized linear actuator consisting of a set of concentric cylinders, also known as pillars, that collapse or expand in order to provide adequate range of motion. Telescoping linear actuators, sometimes called telescoping pillars, are designed for use in space restricted areas. Because of their low retracted height and high load capacity, they are often used in medical applications or on surgical tables. Linear chain actuators provide their applications with controlled linear motion through the use of sprockets and sections of chain. They are available in many sizes with many chain styles, and are typically equipped with driving gears, which produce the force needed for motion. Most often, they’re used where a straight line of push or pull motion is needed. A linear motor is like an electric rotary motor, but unlike an electric rotary motor, it produces motion using repeated magnetic field structures across the length of the actuator. While it has a fairly low load capacity, it offers the advantages of: environmental versatility (including in otherwise hostile environments), durability and a long working life. In addition, it doesn’t require a lead screw for conversion. Mini linear actuators for small applications tend to be electric. However, some use piezoelectric power for precise and short movement. This type of actuator uses a dc stepper motor. A stepper motor is a brushless DC electric motor. It divides full rotation into equal steps. As long as the motor is matched in torque and speed to the application, it can be commanded to resume and hold any of these steps without a position sensor. Stepper motor linear actuators are often used in laser and optics for precise positioning. 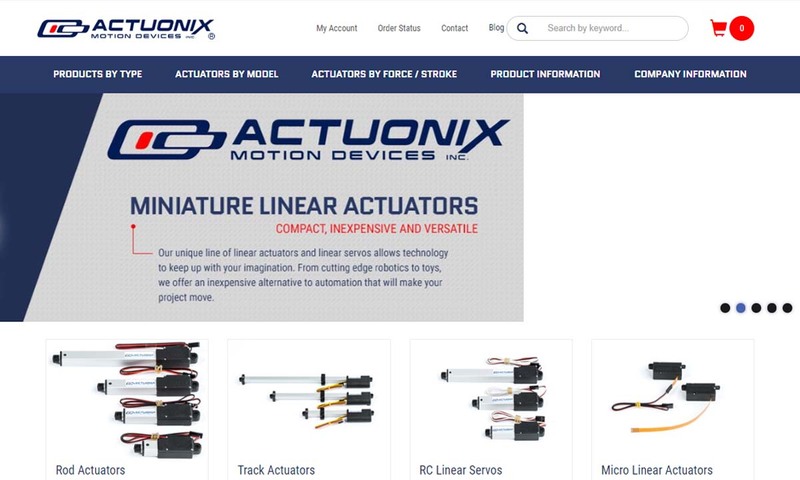 Accessories your linear actuator may require (depending on its type and your application) include: lubricant, monitoring tools, fuses, speed controllers and digital timers. To ensure that your linear actuators last and function efficiently, you need to care for them properly. This involves sufficient maintenance, lubrication and storage. Linear actuators must be regularly inspected for any issues in operation. Actuators often require the occasion adjustment and tweak in order to keep oil properly distributed. As a rule, it’s always best to catch a problem at its early stages, so never hesitate to report something that doesn’t seem right. In order to function properly and avoid issues like corrosion, linear actuators must also be sufficiently lubricated at all times. The type of lubricant and the amount of lubricant you should apply to your actuator depends on its types and application. So, for the best advice, check with your manufacturer when you receive your product. Finally, in order to prevent dust and debris buildup, store your linear actuators in their factory packaging until you’re ready to use them. Make to check with your manufacturer about how long it is safe to keep your actuator stored, though. The standards that your linear actuator needs to meet depend a lot on its application. For example, if inside an industrial valve, it may to meet the standard requirements of something like ISO 5210:2017, which addresses industrial valve multi-turn valve actuator attachments. 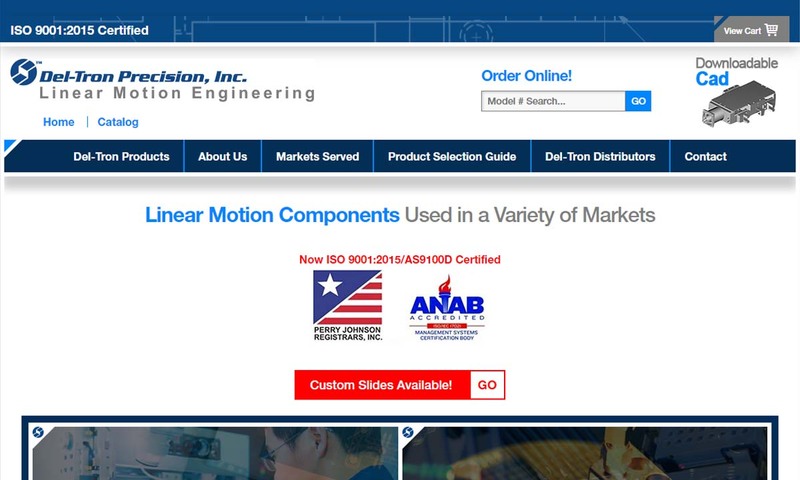 In general, many American organizations, like ASME and ANSI, also offer advice and standard guidelines for various actuators and actuator applications. If your application is related to healthcare, food processing or the military, you will, of course, need to make sure your actuators also meet the standards of the FDA and Mil-Specs, respectively. For more information on standard requirements, talk to your industry leaders as well as your manufacturer. During this process, you need to first consider your specifications, then choose a manufacturer. The linear actuators speed is a measure of how quickly the actuator can extend and retract. Some applications may require that the actuator move quickly, while others may require slower, more precise motion. The stroke length of the actuator determines how far it can extend from its starting position. For small-scale tasks, a shorter stroke length is typically required, but for actuators used in machining equipment and larger machinery, a longer stroke length may be required. When used to push or pull an object, the linear actuator will have to be able to handle the weight of that object in order to actually move it. The load rating indicates the weight limit, or load limit, of the actuator. Most linear actuators are used to perform automated tasks and, therefore, require at least some level of programming to interact with the system in which they are being used. Some actuators can only be programmed for simple inputs while others have much more complex programming capabilities. Depending on the materials used, the environment to which the actuator is exposed, and the manufacturing quality, a linear actuator will have varying longevity. Obviously, the more durable and the higher the quality of the actuator, the longer it will most likely last. 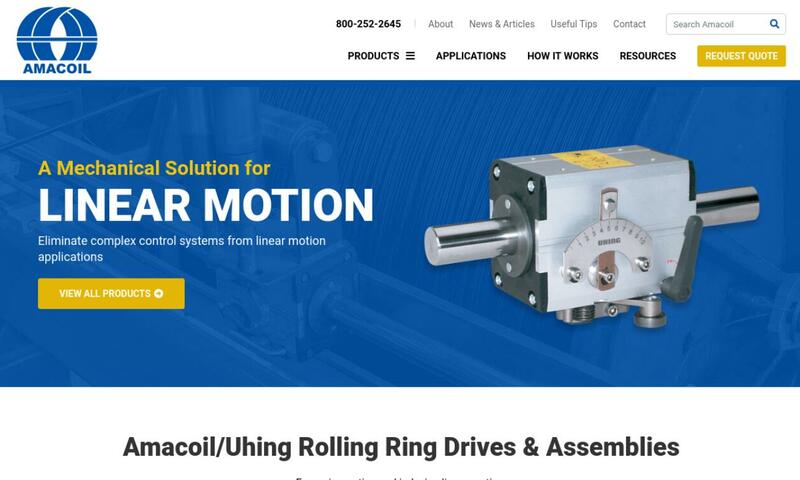 Linear actuators can be powered in many different ways, including electrically, hydraulically, and pneumatically, and there are many different types of motors used to generate that power. Some actuators can run on batteries, while others will use AC, DC, or other specialized motors. While not always the case, larger actuators are typically capable of providing more power while smaller actuators provide less. Larger actuators will take up more room and generally way more as well. For weight-sensitive applications, finding the right balance of size, weight, and power is an important task.  Once you’ve put together your list of specifications, you’re ready to find your manufacturer. To help you on your way, we’ve created a comprehensive guide to our picks for top actuator manufacturing companies. If you scroll up a bit, you’ll find the guide nestled in between these paragraphs. Check out what products and services each offer, then pick a group of three or four you believe have the best potential for you. Reach out to each of them and discuss the specification list you’ve put together. Make sure to ask questions about lead times, prices, standard certifications and delivery methods. Your goal is to find the manufacturer that is best able and willing to cater to your needs. So, once you’re done talking with all of the suppliers to whom you wish to speak, compare and contrast them, keeping that goal in mind. When you’ve determined which manufacturer is best for you, reach out to them again and get started.